Wondering where all the really great fishing in Oregon is? 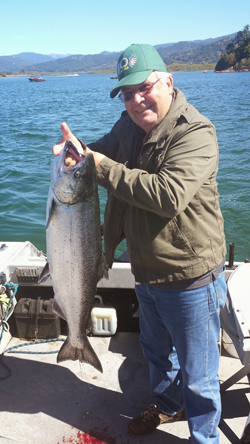 Call 541-425-1318 so you can take your vacation with a Rogue River Salmon Fishing trip in the spectacular country of Gold Beach in southern Oregon with Sport Fishing Oregon guide Ron Smith. 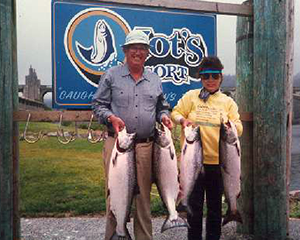 Ron has been successfully guiding salmon and steelhead anglers on southern Oregon’s premier rivers since 1982. 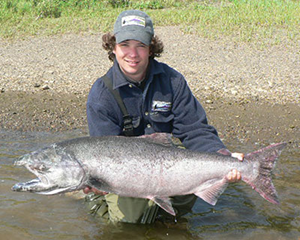 He will make sure your Rogue River salmon fishing trip to Oregon is a memorable angling adventure! Fish for Chinook (springers and fall kings), Coho and Steelhead. Fish the Coquille, Elk, Sixes, Rogue and Chetco Rivers. Fish with a professional guide, from a professional boat, with professional gear. Learn with a pro! Catch with a pro! Rogue River Salmon Fishing vacation! 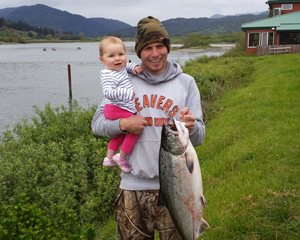 Rogue River salmon fishing at its best on the southern oregon coast in Gold Beach. 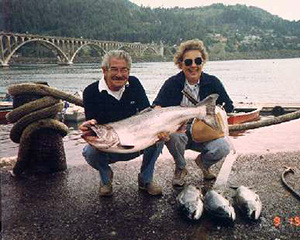 Experienced fishing guide Ron Smith will help you in your pursuit of these hard-fighting game fish.Whether it’s the Wild & Scenic Rogue River or one of the nearby smaller rivers such as the Elk, Sixes, or Chetco rivers, make your Oregon vacation a memorable one with a guided Gold Beach salmon fishing trip. 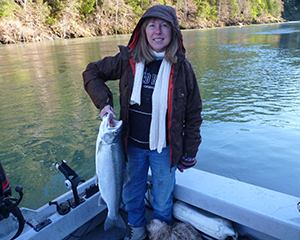 There’s nothing quite like salmon fishing on the rogue river in Gold Beach. 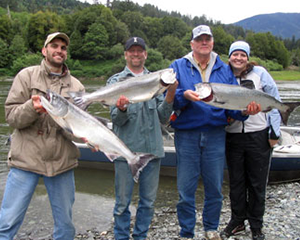 The finest Oregon King Salmon and steelhead fishing vacations start right here on the Rogue River. If you love the great outdoors, you’ll love what the Rogue River has to offer. 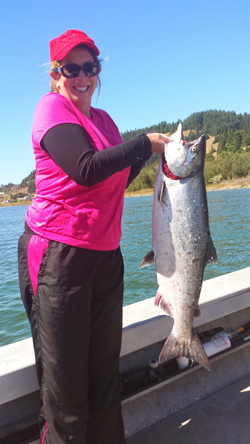 When you plan your Gold Beach fishing vacation, head for the Rogue! The Rogue River is home to many varieties of salmon, year-round. 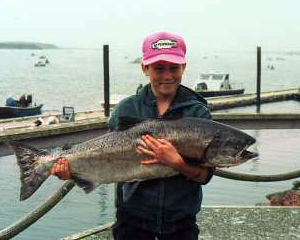 Oregon fall king salmon, Spring Chinook Salmon, Summer Chinook Salmon and Summer Steelhead, Coho Salmon (also known as Silver Salmon), and Winter Steelhead. If you want to catch a fish, just take your salmon fishing trip to the fisherman’s paradise that awaits you on Oregon’s Rogue River. We provide the tackle and everything you need to catch the really big fish. 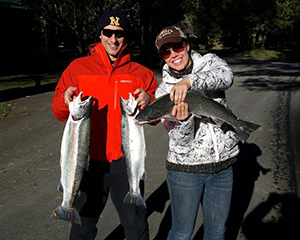 Go salmon fishing on the Rogue River — Fish the famous Rogue River on your next Oregon Vacation and book your fishing trip today! Call (541) 425-1318 now. Wondering what season is best for catching the really big fish? Check out our seasonal fishing guide to see what we’re catching on the river, month-by-month. 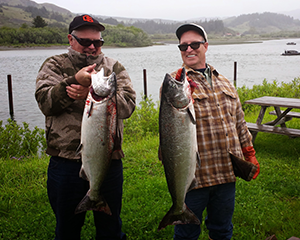 Contact Sport Fishing Oregon today to make reservations or to have your questions answered about our guided Rogue River and Coquille River salmon fishing trips. Sport Fishing Oregon is an equal opportunity recreation service provider and operates under a special use permit with the Rogue River-Siskiyou National Forest.